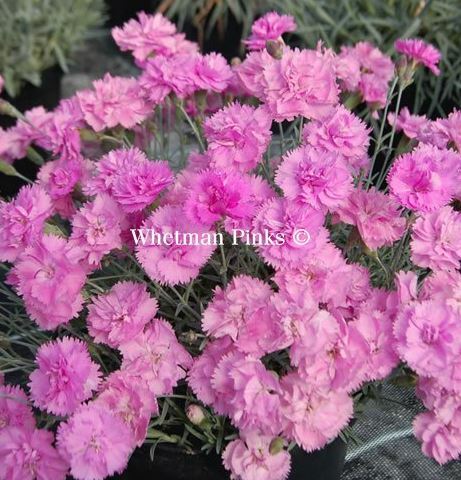 At Homestead Nurseries, we stock a very wide range of pinks produced by well know, specialist growers - Whetman Pinks. 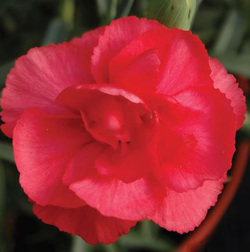 Established in 1936, Whetman Pinks has a long and rich history of growing Pinks of one sort or another for more than 60 years. 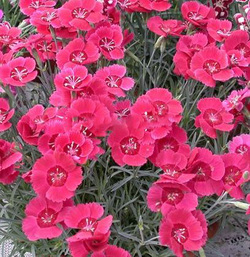 Description: The bold orange red double flowers are borne on a naturally compact plant. The colour is a valuable enhancement to the range. Description: A gorgeous sunset pink with a maroon eye, semi double, very hardy. 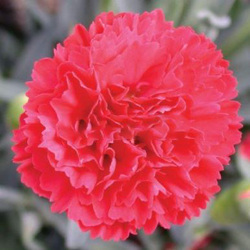 Description: Vivid red single flowers with a crimson eye borne on a vigorous mound of neat grey green foliage. Description: A super early variety with wonderful fragrance. Recommended Best Buy in Which? Gardening magazine. 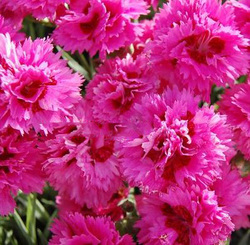 Description: Frilly is a fully double shocking pink with a great perfume, especially when the weather conditions are warm.. 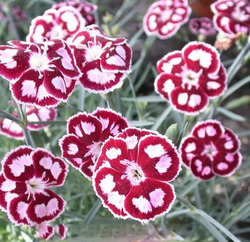 Description: Dark red semi-double flowers borne in profusion on a neat compact plant. Very reliable. Description: Delightful Bengal rose with a ruby eye and prominent anthers, borne above compact grey foliage. Very hardy. Description: A compact showy plant. 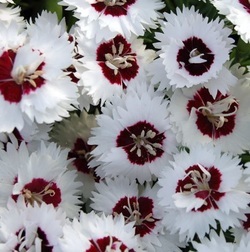 The striking darkest maroon double flowers are edged and splashed with sparkling silvery white. Gorgeous perfume.. Description: Rather reminiscent of antique varieties with a looser habit, the striking single maroon flowers have a lovely chocolatey perfume. Description: Reminiscent of antique varieties with a looser habit, the striking single maroon flowers have a lovely chocolatey perfume.. 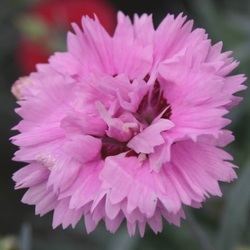 Description: Attractive, neat single lavender blooms with a rose pink eye borne on a vigorous mound of neat grey foliage. Very hardy. 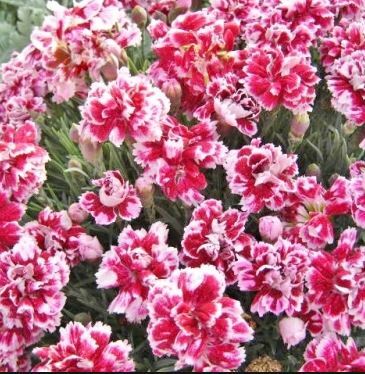 Description: Deeply fringed double lavender blooms with a cherry eye on a compact plant. Slightly taller than others in the range.. 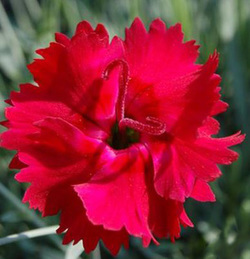 Description: Rebekah has fully double crimson blooms on a well balanced plant. Free flowering and perfumed. 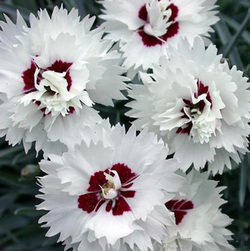 Description: A profusion of red flowers with a maroon eye and a shower of white stamens over neat grey foliage. Description: Pretty flowers that look just like little rosebuds, hence the name. Free flowering over a long period and sage green foliage. Excellent in baskets, window boxes and containers. 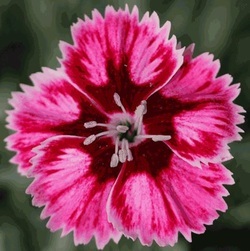 Description: Large magenta fully double flowers on a compact plant. Sherbet makes a great contribution to any tub or basket. 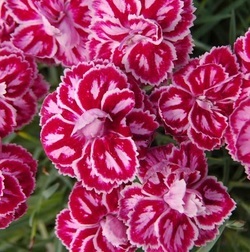 Description: Delightfully patterned flowers with cherry red and white stripes that look like old-fashioned humbug sweets. A striking garden favourite. Very fragrant. Description: New for 2015. 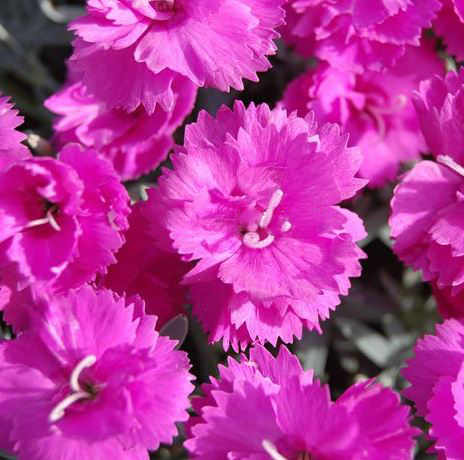 A compact plant, producing masses of fully double vivid purple flowers with a deep Morello cherry eye.. 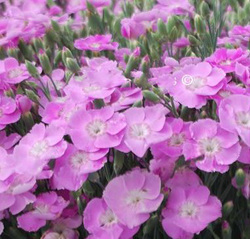 Description: The mass of single highly fragrant flowers open rosy lavender, mature to lilac and fade to almost white. Overall blueish hue effect. 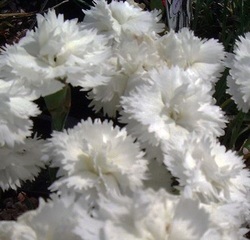 Description: Deeply fringed white petals with a magenta centre, single. Crisp grey foliage forming attractive compact mounds. 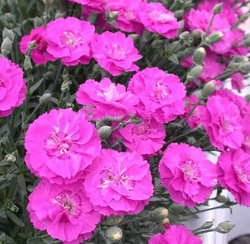 Description: Striking single blooms, wonderfully fragrant and borne above compact grey foliage. Very long flowering season. 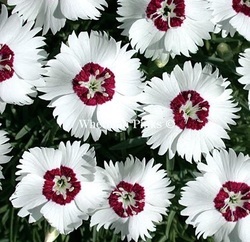 Description: Semi-double flowers with showy white stamens. 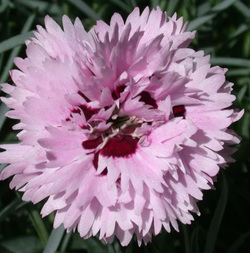 Sweetly perfumed and borne on a vigorous mound of neat grey foliage. 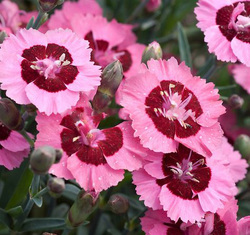 Description: Parisian pink frilled double flowers. Very hardy and beautifully perfumed.